The Spirit of Italy, a group of eight iconic Italian distilleries with the common goal of promoting Italy’s premium spirits, will begin a short West Coast tour on December 4. With stops in San Francisco and Las Vegas, The Spirit of Italy will host bartenders for an in-depth class on the spirits and liqueurs held in the portfolio and will be led by world renowned Mixologist Francesco Lafranconi and alongside the owners of the brands themselves. WHEN: December 4, 2013 // 12 – 2:30 p.m. WHEN: December 6, 2013 // 12 – 2:30 p.m.
Due to a demand for rye whiskey that couldn’t be planned for in 2012, Wild Turkey 101 Rye Whiskey was replaced with Wild Turkey 81 in many areas. Naturally, what limited stocks of rye whiskey Wild Turkey had could be spread further by adding water to decrease the proof from 101 to 81. While people did enjoy the 81 proof version, there was still a void that many passionate whiskey enthusiasts and bartenders wanted filled. One of those bartenders was San Diego’s Erick Castro of Polite Provisions, who created a “Bring Back Wild Turkey 101 Rye” group on Facbeook. Luckily for Castro, Wild Turkey listened. “To be completely frank, we didn’t realize bartenders had such a passion for it. Given the bartending community can be directly attributed for the current resurgence in Rye and classic cocktails, we had to listen and take the necessary steps with our available aged stock to bring 101 Rye back,” said Master Distiller Jimmy Russell. Wild Turkey 101 won’t be brought back nationally, but the brand will be re-introduce in one liter bottles targeting on-premise accounts in 21 markets across the country. Like whisk(e)y or know someone who does? Want to learn more about whisk(e)y or know someone who does? 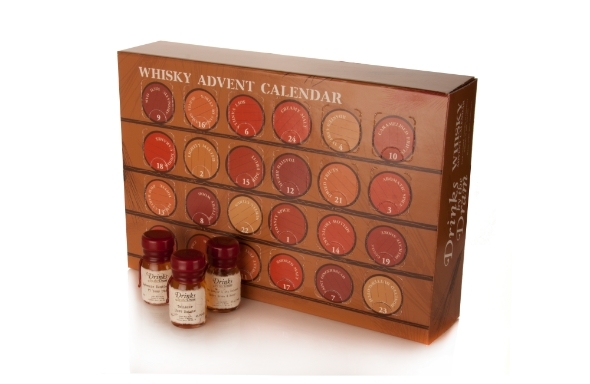 Look no further than Master of Malt’s Whisky Advent Calendar. What better way could there be to count down the each day of December with a different dram of Bourbon, Japanese whisky, or Scotch? Aside from the the Whisky Advent Calendar pictured above, Master of Malt also offers a Premium Whisky Advent Calendar which highlights higher end whisky and a Givent Calendar with an incredible array of gins. To learn more, visit Master of Malt online. 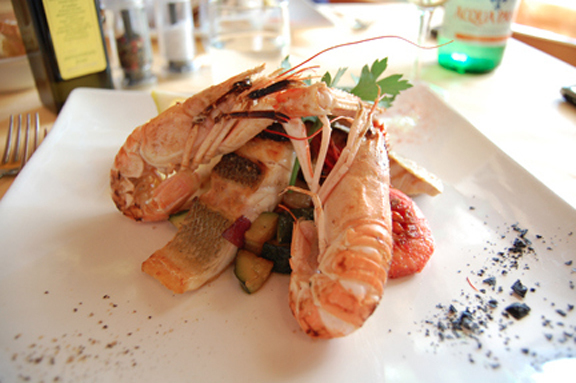 Tuscany: land of Italy’s greatest seafood? When most Americans think of Tuscany and its wonderful food, they think of rich red wines paired with liver pâté crostini, wild boar ragù over pici (long, handmade noodles), and the famous bistecca fiorentina, the hearty “Florentine steak,” the porter-house of Italy. Whether you’re into craft beer, cocktails, wine, or coffee, beverage culture continues to find new ways to amaze us. It’s an endless journey of new adventures, new experiences, new events, new products, and more, and just when you think you’ve reached the peak and it couldn’t get any better, you’ll meet a new friend that starts the whole cycle over again. Luckily we Mutineers keep finding new opportunities to meet new people and make new friends and every city, every event, and every story we write is like taking our first “ah ha!” epiphany sip over and over again. That one sip that made us fall in love with beverage culture in the first place. It can’t get any better than that and as always, we thank you for your steadfast support and accompanying us along on this adventure. 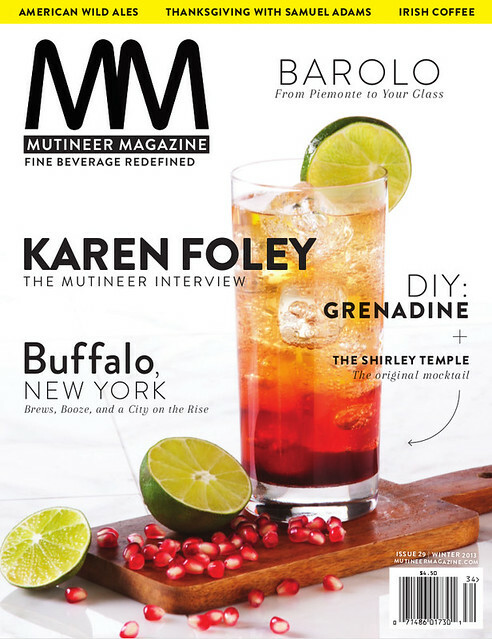 In this issue of Mutineer, we start in Old World Barolo before jumping to New World Buffalo. Along the way we check out three exciting events—Tales of the Cocktail, Bar Convent Berlin, and the Luxardo Cocktail Cup—before finally sitting down to chat with fellow beverage industry publisher Karen Foley. Food? Yes, there’s that too as we dive into a Sam Adams inspired Thanksgiving dinner in this issue’s Hungry Mutineer. Beyond just having great writing, we are incredibly excited about the creative talents we are able to bring to life in this artistically driven issue. Talents like Dave Stolte, who created the illustration you see above. Like Andy Norsen, whose inspiring pho- tography adorns the cover of this issue and countless other pages. Like Irene Loomis, who left us speechless with her watercolors and illustrations on the Barolo story. Like Rachelle Hacmac, who beautifully shot this issue’s Mutineer Interview and couldn’t have captured it better. Like Phil Jimcosky, whose food photography in “It’s a Samuel Adams Thanksgiving” makes you want to eat the pages. And, last but not least, our very own Creative Director Julie Hadjinian, who is the glue that keeps these pages together. This Thanksgiving, I know what I am thankful for. Travel to the Piemonte region of Italy and learn about Beni di Batasiolo and Barolo, the King of Wines. Plagued by a reputation for blizzards and a bad football team, Buffalo, NY was once the brawny, belligerent epicenter of beverage mutiny in American history. From frozen grapes to German beer stock, we take a look at how this Rust Belt city is reclaiming its title as a destination for great drink. Most people don’t think about steak when it comes to Italian gastronomy. In fact, the famous bistecca fiorentina — Florentine beefsteak — is one of Italy’s most celebrated dishes. 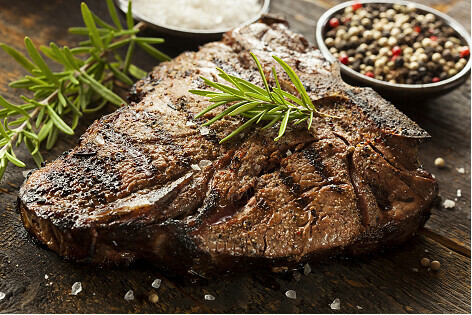 The cut of beef is the same as the U.S. porterhouse. The difference is that the “T-bone” of the fiorentina is always charred standing upright and then quickly grilled at high temperature on both sides — served religiously al sangue (bloody). 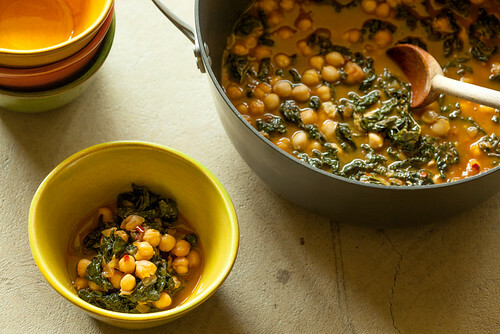 The only dressings used (if any) are extra-virgin olive oil and sea salt. While huge Chianina breed cows are used in Tuscany and throughout Italy to make these over-sized T-bone cuts, nearly any breed of cow can be used (and you can simply ask for a porterhouse at your local butcher). This week Harris met with Becky Merry-Barrango, VIP Concierge at Visit Napa Valley.